Caring for patients is developed by Educacentre College. Educacentre College works with Health Care professionals and experts to develop quality programs and trainings . Our goal is to to facilitate french learning by providing courses and tools that are adapted to health care professionals lifestyles. Educacentre College is regional partner of the Consortium national de formation en santé. The CNFS is a Canada-wide umbrella organization bringing together 11 university and college educational institutions which deliver training programs in various health disciplines in French, as well as regional partners who facilitate and promote access to these training programs. The CNFS aims at improving health care services in French within francophone communities outside of Québec, through post-secondary training of francophone health care professionals, and additionnaly through research in the health care field, related to the training and to needs of these communities. The CNFS’ National Secretariat, located in Ottawa, plays a leadership, development and coordination role in planning and realizing the Consortium’s objectives. 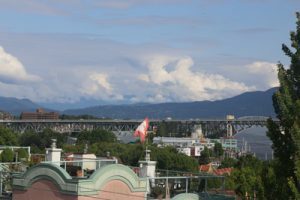 Based in Vancouver, BC, Éducacentre College is the only French language college in British Columbia. It offers a wide range of college-level and continuing education courses and programs, academic and professional guidance and employment services, literacy, basic education, high school equivalency and “francisation” programs and services, throughout the province. Éducacentre College is a non-profit educational institution; it currently has 3 campuses: Vancouver, Victoria and Prince George. In addition, the virtual campus delivers distance education in French to students in Western and Northern Canada.